Steven (Chicagoland, United States) on 27 November 2012 in Art & Design and Portfolio. 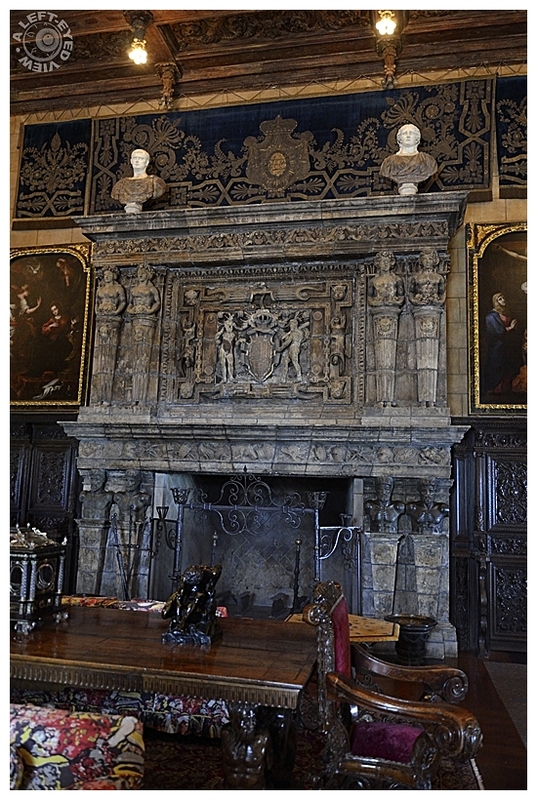 The double mantle located in the Assembly Room of Hearst Castle. We were not allowed to use flash photography inside the residence, hence the not-so-bright shot captured here. The light fixtures seen hanging from the ceiling are simple incandescent light bulbs, which William Randolph Hearst was said to like and did not want covered with diffusers. Auch dieses sieht sehr gut aus. What amazing detail - near blows the mind ! The picture is bright enough Steve, the detailing is all well presented. Very impressive place...so richly decorated! This is a most enjoyable image. It has a wonderful level of detail as well as perfect light. Great shot of this interesting Room ... the decoration and details are absolutely magnificent !!! Wow, the double mantle is very detailed decorative and artistic ~ very beautiful! A gorgeous image. I had forgotten how lovely the interior is. Absolutely beautiful! Gorgeous detail and colors. This is such a wonderful place! Superb picture, bright and full of details. Congratulation! Such elaborate details ... a great shot of this portion of the room. Wonderful detail but odd perspective lines. Still an excellent photographic result, Steven, and wow what an elaborately gorgeous setting ! I visited there years ago and was fascinated by it. Cool shot. Love everything here.. would love to have that ornamental table and chair. Full of character.